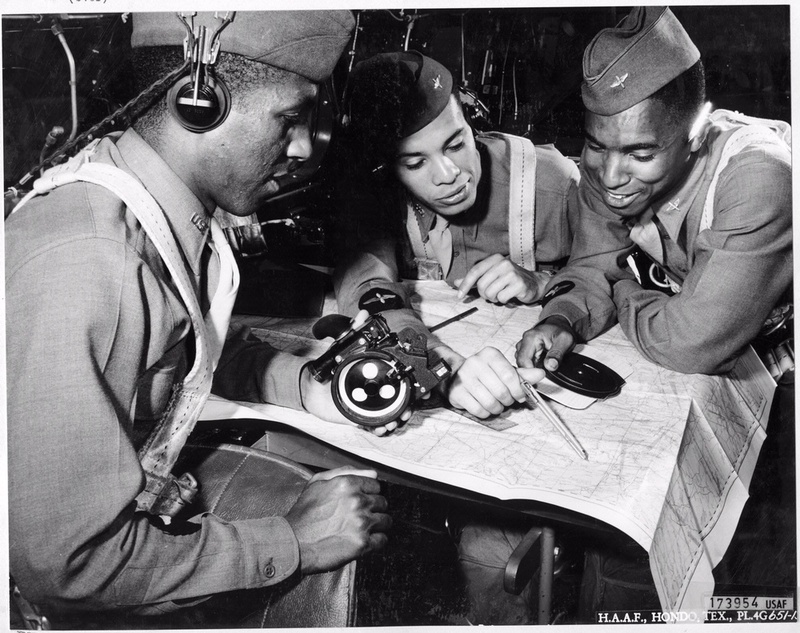 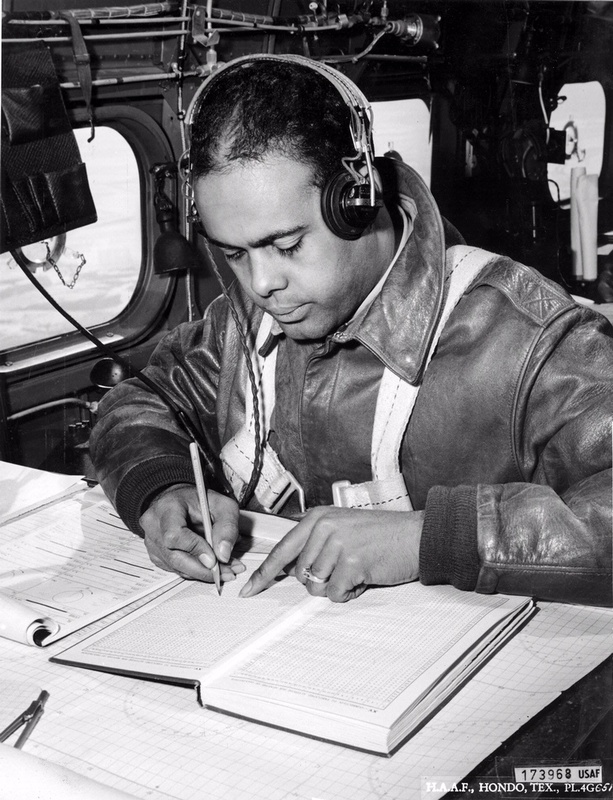 Noel Parrish commanded the Tuskegee flight training program from 1941 to 1945, when this photo was taken. 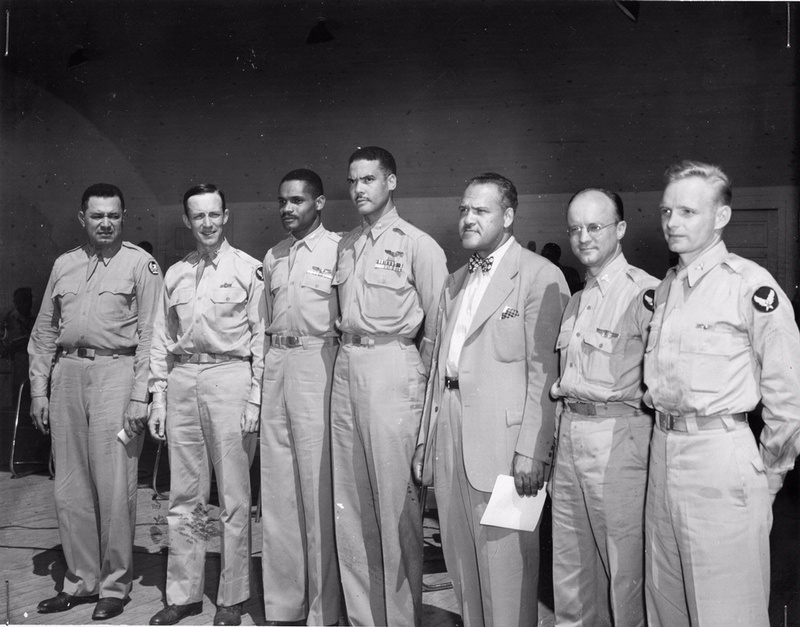 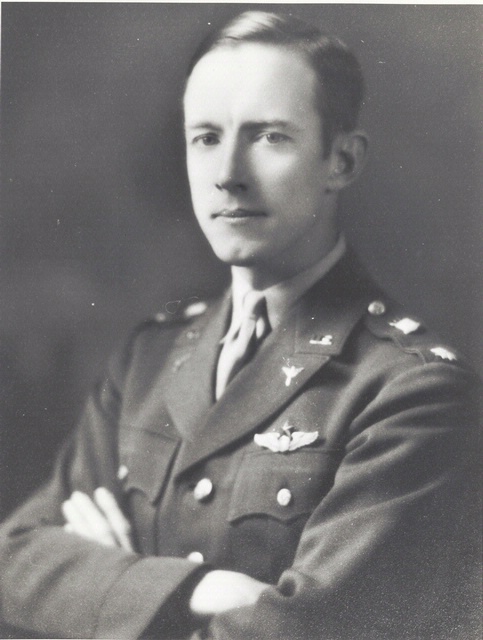 Left to right: Col. Noel Parrish, flight instructor Capt. 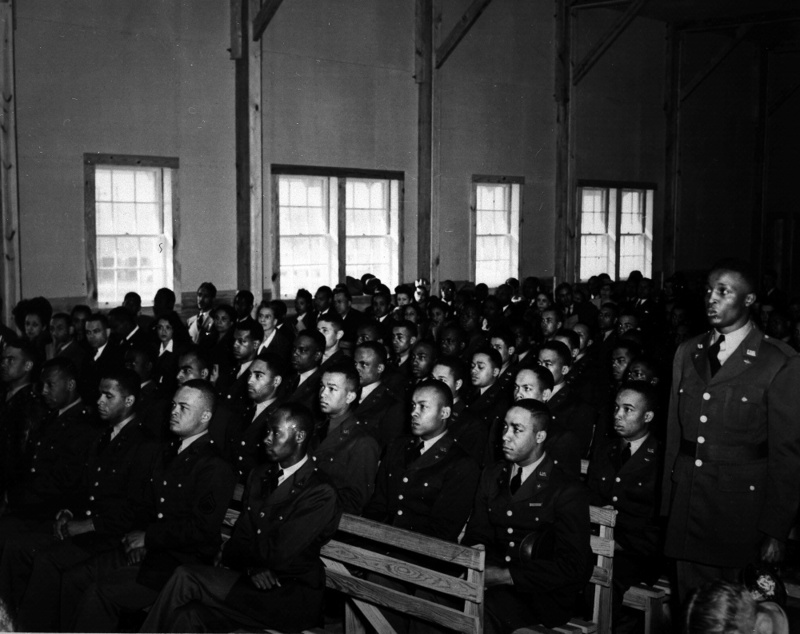 Luke Weathers, Col. Benjamin O. Davis Jr., and Dr. Frederick D. Patterson, president of Tuskegee Institute.